Built in the early 16th century, Matsumoto Castle is one of only a handful of original castles left today in Japan. For an original castle, it is also considered one of the most complete. 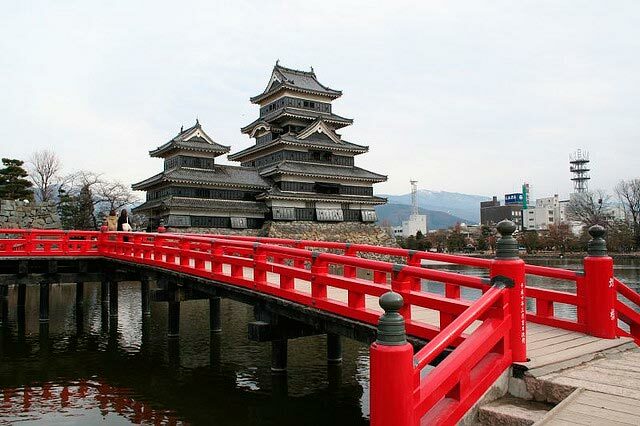 Located near Nagano, Matsumoto Castle is unique in a few ways. The first way is that it was built on a plain rather than up on a hill or mountain like most castles. It is also unique for having a second donjon, or inner keep, and a turret adjoining its main keeps. The interior of the castle shows an authentic view into what the castles from that era would be like. Rather than the inside being made of concrete like most reconstructions, it is made from wood. 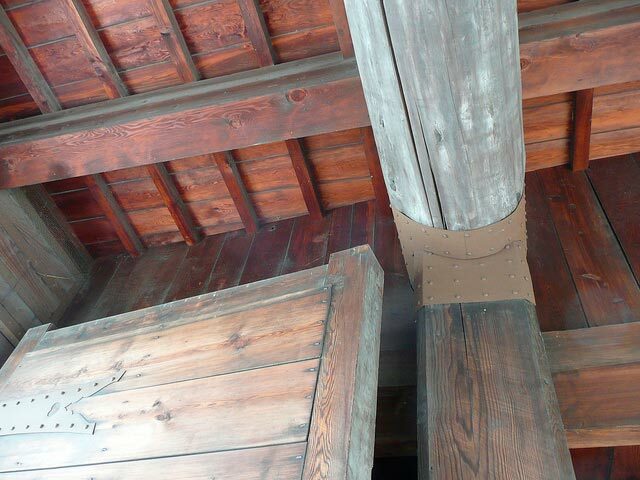 There are even still wooden staircases, as well as openings for archers and for stones to be dropped on incoming invaders. Walking up through the castle, visitors are taken to the sixth floor where there is an observation deck. Be sure not to miss this as the views are awe-inspiring overlooking the surrounding city. 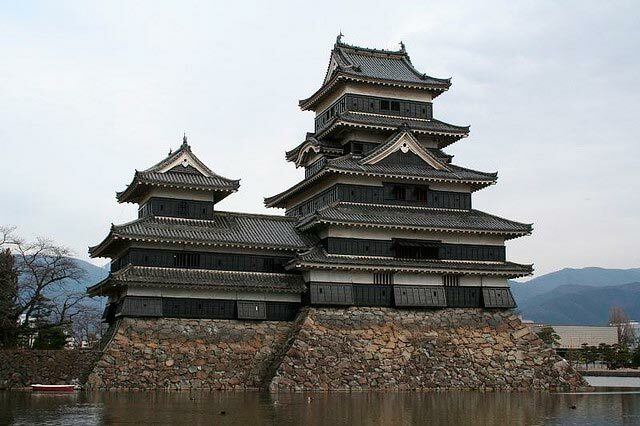 Unlike most other castles nearby, which have all been destroyed, Matsumoto Castle is still standing strong. According to a legend, the castle owes its longevity to its shrine on the top floor. This shrine is dedicated to the god of 26 nights. Supposedly the god appeared the one of the castle guards back in 1618, and promised to protect the castle if it was enshrined with 500kg of rice on the 26th of each month. This tradition has such been maintained ever since. The striking black color reflects beautiful in the moat surrounding it. Spend some time wandering the gardens and viewing the castle from all angles. It’s certainly worth it. During most times of year you’ll find that the castle isn’t very crowded, except for during springtime and the cherry blossoms. Many people visit during this time to see the hundreds of yoshino cherry trees around the premises. Watching the fragile pink blossoms swirl around the powerful black castle, I can’t think of a better way to spend a warm spring afternoon.